Burnside Park015394 46624work015394 47754fax Self-cateringSituated in mature gardens just 300 metres from the steamer piers and bustling village centre of Bowness-on-Windermere, Burnside Park offers you one of the very finest self-catering holiday locations. Our cottages and apartments are luxuriously equipped to the highest standard of furniture and fabrics and all the modern amenities you are ever likely to need. Sleeping 2 - 6 guests there is no need to bring linen or items other than of a personal nature. Your stay at Burnside Park includes full use of the all weather leisure centre Parklands Country Club which belongs to the Burnside Hotel. From Saturday to Saturday (except Christmas and New Year ). Situated in mature gardens just 300 metres from the steamer piers and bustling village centre of Bowness-on-Windermere, Burnside Park offers you one of the very finest self-catering holiday locations. All bookings must be paid in advance, Burnside Park will contact you directly for card details before the booking is confirmed by Burnside Park. Electricity is charged on a meter basis, all units will have the meter read before arrival and on departure Children welcome from any age. Burnside Park sometimes limits bookings to 7 or more days. Dog charged £39 per stay. Std Aprtmnt sometimes limits bookings to 7 or more days. From M6 jct 36 follow A590/A591 to Windermere. On entering Windermere turn left on the A592 to Bowness. At the lakeshore continue past the steamer pier for 300 metres to the Burnside Hotel, which is on your left. Continue through the hotel car park along the flat drive to the self-catering reception. The Wi-fi is not working at all, keeps on disconnecting and is not reliable. You need to fix this. The cottage was way too hot, even if we haven't switch the heaters on one single minute. 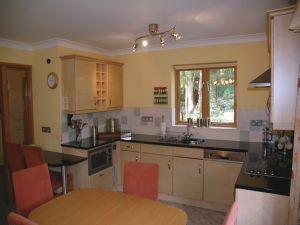 Apart from that the staff were efficient and always present, cottage and the common areas always clean. The resort is on a slope so only some units with flat access. Newer and refurbished bathrooms fitted with support/grab rails.